Founded in 1998.Restart PURITY company in 2010. 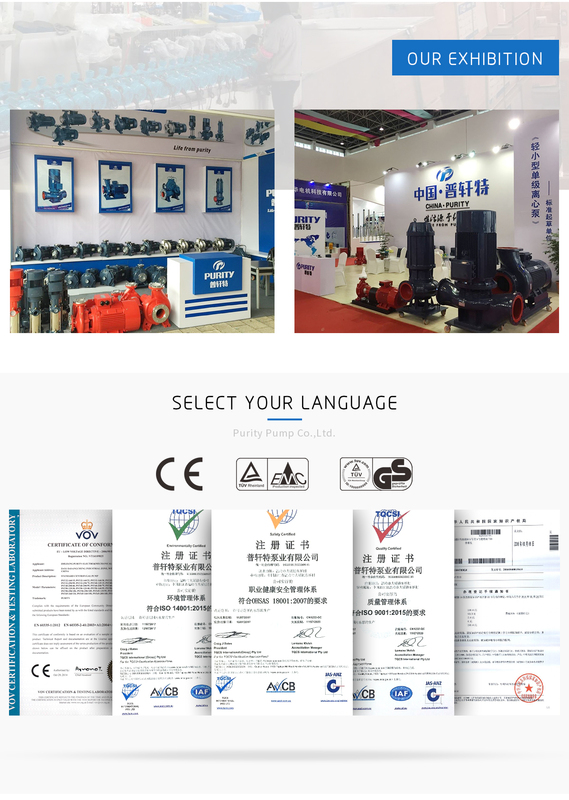 Over the past 15 years, our company has been developed to a leading centrifugal pump supplier in China. Our main products are centrifugal pumps, standard centrifugal pump and so on. 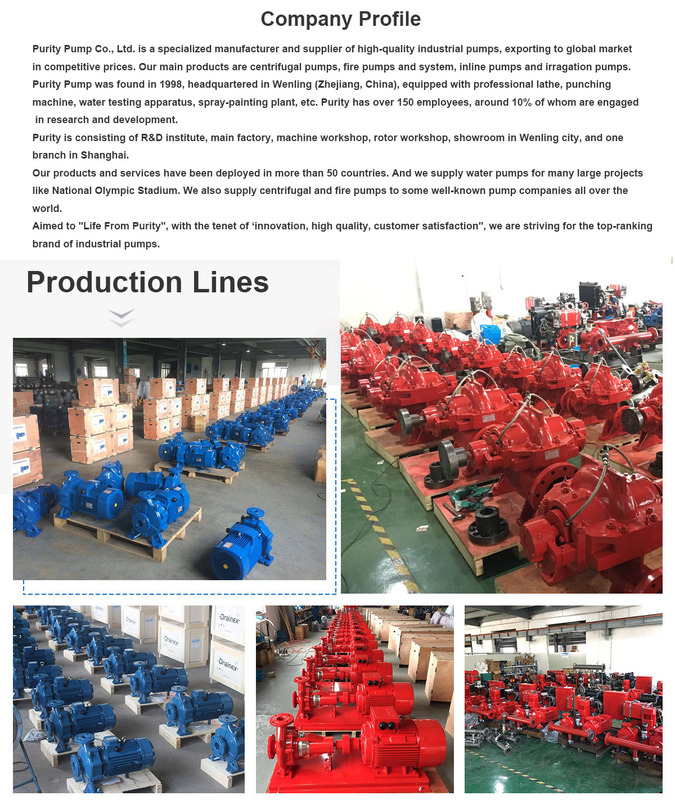 Purity Pump Co., Ltd. is a specialized manufacturer and supplier of high-quality industrial pumps, exporting to global market in competitive prices. Our main products are centrifugal pumps, fire pumps and system, industrial inline pumps and irrigation pumps. Purity Pump was found in 1998, headquartered in Wenling (Zhejiang, China), equipped with professional lathe, punching machine, water testing apparatus, spray-painting plant, etc. Purity has over 170 employees, around 10% of whom are engaged in research and development. Purity is consisting of R&D institute, main factory, machine workshop, rotor workshop, showroom in Wenling city, and one branch in Shanghai. Our products and services have been deployed in more than 50 countries. And we supply water pumps for many large projects like National Olympic Stadium. We also supply centrifugal and fire pumps to some well-known pump companies all over the world. Aimed to "Life From Purity", with the tenet of 'innovation, high quality, customer satisfaction", we are striving for the top-ranking brand of industrial pumps.